This story has three sections—a flag part, a song part and a painting part. Yaddi Bojia, graphic designer, HFS Communication and Marketing, was watching CNN in September 2009 when he saw one​​ of his art projects on the screen. It was his design for a new African Union flag that he had submitted two years earlier in a competition, but he’d never heard back from the judging committee. It turns out his design had been selected from 127 entries. After being officially contacted, he and his family were invited to be guests at the flag’s inauguration ceremony, held January 31, 2010, in Addis Ababa, Ethiopia​​, Yaddi’s place of birth. During the visit he met with a number of heads of state of African nations and was treated like a celebrity when he walked around Addis Ababa. The flag’s design depicts a gr​een Africa to portray the hopes and aspirations of the continent, resting on rays of a white sun that symbolizes the people’s desire for friendship and co-existence with all the world’s countries. The map is circled by a ring of golden stars each representing member states, wealth and a bright future. Fast forward to May 2013 and the 50th Anniversary of the founding of the African Union, which was held in Add​is Ababa and attended by 15,000 guests, including 84 heads of state, with the U.S. represented by Secretary of State John Kerry. 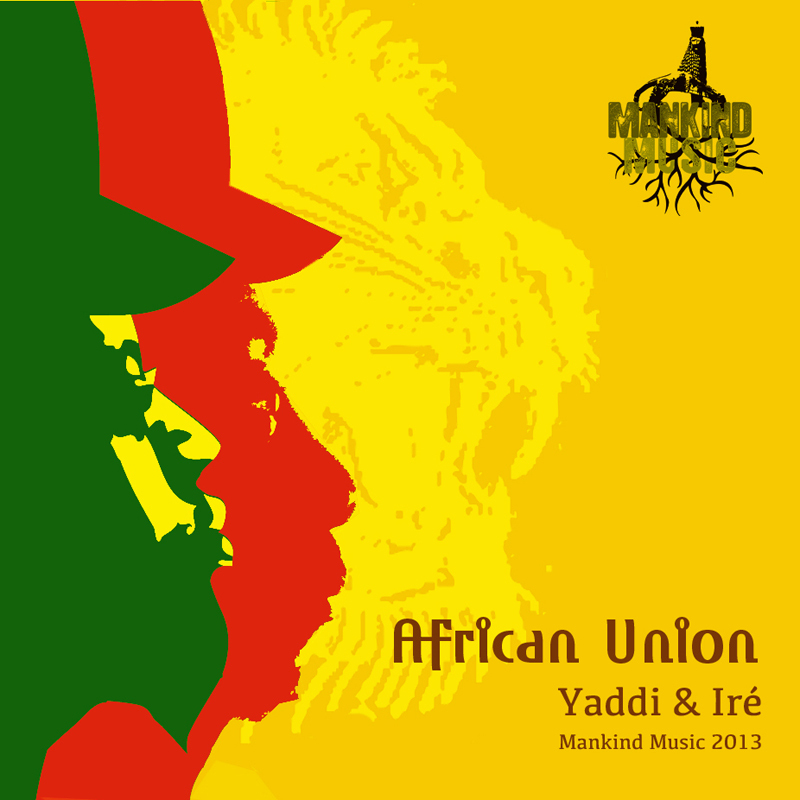 In honor of the occasion Yaddi teamed up with Raggae star. Iré Taylor (Reginald Taylor) formerly of Culture Band (1994-2001) and currently with Boogie Brown Band. 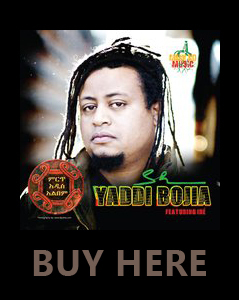 Iré wrote the music and Yaddi added the lyrics. The result was “African Union,” produced by Mankind Music Production and internationally distributed by iTunes, spotify, Amazon, Zune and another 15 companies. The video clip was shot in two locations—Seattle and Shoreline. Yaddi co-directed the shoot with Bemnet MM. Yaddi’s wife, Hewan, also worked on the video as Interior Designer. During the week of celebration, the largest English Newspaper in Ethiopia, the Ethiopian Herald, featured Yaddi and the story of his flag design. “I wanted to commemorate the Golden Jubilee by remembering those who worked hard to establish the OAU, leaders like Haile Selassie, and applaud the Union’s historic and unwavering stand against apartheid in South Africa, as well as the present economic promise of African Nations and the selection of the first woman chair,” Yaddi said in the interview. Spoiler alert: The video ends with the camera pulling back from a painting Yaddi, who is also a painter, has been working on. Up till now only parts of the canvas have been seen. 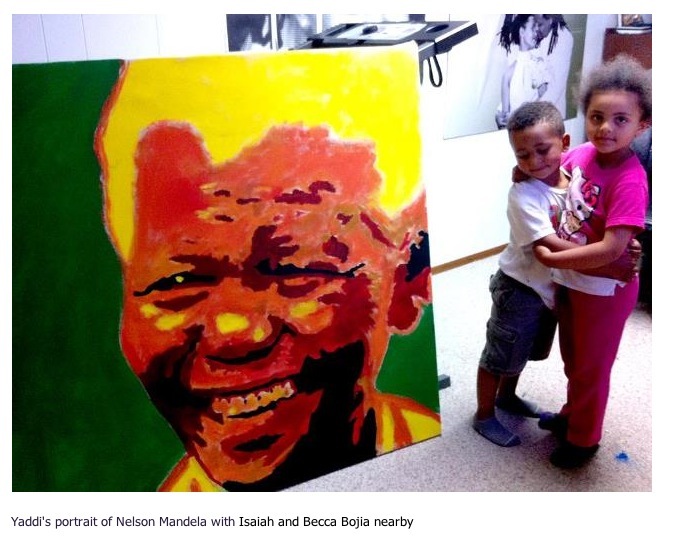 Finally, the viewer can take in the entire painting, which is a huge vivid portrait Nelson Mandela.